UPDATE: Woops! Sorry, I confused the time conversions. The correct NZ times are now present in bold. 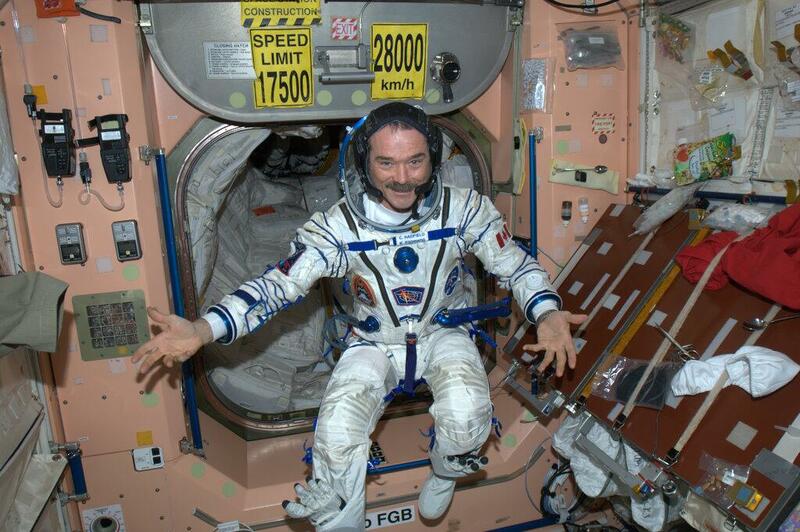 It’s all go aboard the International Space Station at the moment. An external ammonia link was found today (see NASA: Space station power system radiator leaking). This is connected to power systems and steps are changes are being made to isolate its effects. Meanwhile three of the cosmonauts/astronauts will be returning to earth early next week. Expedition 35 Commander Chris Hadfield of the Canadian Space Agency, Tom Marshburn of NASA and Roman Romanenko of the Russian Federal Space Agency (Roscosmos) will undock their Soyuz TMA-07M spacecraft from the station on Tuesday May 14 NZT (7:08 p.m. EDT May 13), heading for a landing on the steppe of Kazakhstan southeast of Dzhezkazgan at 10:31 p.m. EDT (8:31 a.m. Kazakh time, May 14). They will have spent 146 days in space since their Dec. 19 launch from Kazakhstan. Chris Hadfield, a Canadian, has been very actively photographing the earth – different countries and cities, and sending the photos out to social media via Twitter. He’s also done a lot of communication via video links to schoolchildren and other audiences. Hopefully the remaining cosmonauts/astronauts, and the new arrivals will make efforts continue such communication. The Canadian Space Agency will mark the landing with a “Tweetup” at the Canadian Space Agency headquarters in Quebec. This will include live video coverage of the landing. Activities connected with the departure of the Soyuz craft and its landing can be following live on NASA TV. Coverage will begin Sunday, May 12 EDT, with the change of command ceremony between Hadfield and Vinogradov. Coverage will continue May 13 and 14 EDT with Expedition 35 landing and post-landing activities. 9:15 p.m. Monday EDT. 1:15 p.m. Tuesday 14 NZT — Deorbit burn and landing (deorbit burn scheduled at 9:37 p.m. EDT [1.37 p.m Tuesday 14 NZT], landing scheduled at 10:31 p.m. EDT [2.31 p.m. Tuesday 14 NZT]). There will also be later video coverage of post landing activities.